The University of Suffolk have hosted these awards, with Leap, since 2011. Fantastic achievements and inspirational stories are shared by adult learners across Suffolk, culminating in a memorable evening of celebration. See Suffolk Adult Learners Awards 2018 to view our winners and runner ups. To nominate for 2019 - see here. 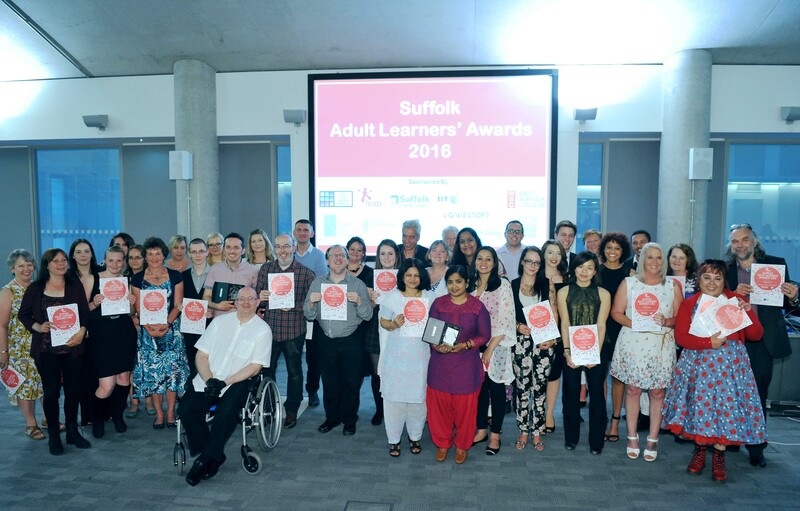 For details of our 2017 winners, see Suffolk Adult Learners Awards 2017. Check out the video from the ceremony.